The Custom Coater Forum provides presentations and roundtable discussions. 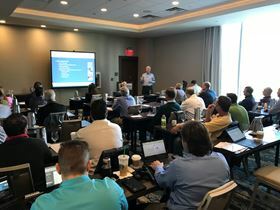 The Powder Coating Institute (PCI) plans to host a forum covering custom coatings as part of the PCI Powder Coating 2019 Technical Conference. The forum will be held from 1–2 April 2019 in Orlando, Florida, USA, before the conference on 3–4 April. The Custom Coater Forum provides presentations and roundtable discussions on business solutions, new product technologies and PCI programs. This story is reprinted from material from PCI, with editorial changes made by Materials Today. The views expressed in this article do not necessarily represent those of Elsevier.